Skye Bank Plc has emerged ‘The Most Committed Watch Listing Bank in Nigeria’ out of four corporate awards that were up for grabs at the Nigeria Electronic Fraud Forum (NeFF) Annual Dinner and Awards which held in Lagos recently. This was confirmed in an industry-wide survey administered by Central Bank of Nigeria (CBN) in conjunction with NIBBS. The challenge of securing the Nigerian Payments System will always be a daunting task as with the ease of payment, comes greater adoption, and with increased adoption, the lure of cybercriminals who seek to convert either digital asset or resources or both to their own, becomes even greater. According to him, “most banks, in their response, acknowledged Skye Bank as the most committed bank when it comes to tracking fraud and arresting perpetrators”. Skye Bank runs its core banking ICT applications on one of the most advanced, and highly secured and scalable technology software, adjudged by cyber practitioners as consistent with what obtains with other financial giants in most advanced economies of the world. Receiving the award on behalf of the bank, the Executive Director, Lagos Commercial Banking Directorate, Mrs Markie Idowu, thanked the organizers of the award and used the opportunity to canvass for collaboration amongst stakeholders, noting that this remains the only way to effectively tackle the spate of electronic fraud in the industry. The Nigeria Electronic Fraud Forum (NeFF) is a forum where financial services stakeholders – banks and other organizations within the financial and payment systems – meet on a quarterly basis to deliberate on issues of electronic fraud and its prevention. The forum is organized and supervised by Central Bank of Nigeria. 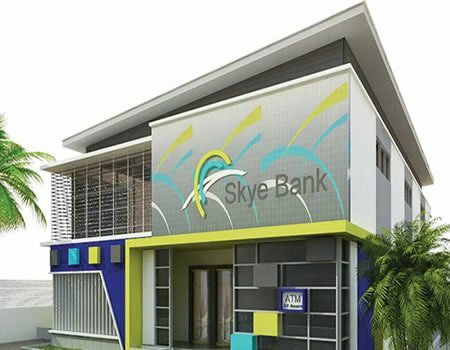 Skye Bank, a Systematically Important Bank (SIB), with strong market share and relative interconnectedness, occupies a sensitive role in the financial industry in Nigeria and West Africa. The other NeFF awards are: the best fraud desk personality of the year; the most responsive fraud desk and the overall best fraud desk.